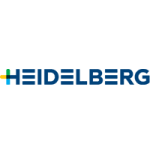 Heidelberger Druckmaschinen AG is a German precision mechanical engineering company with head offices in Heidelberg. It is a manufacturer of offset printing presses sold globally. It was founded in 1850.